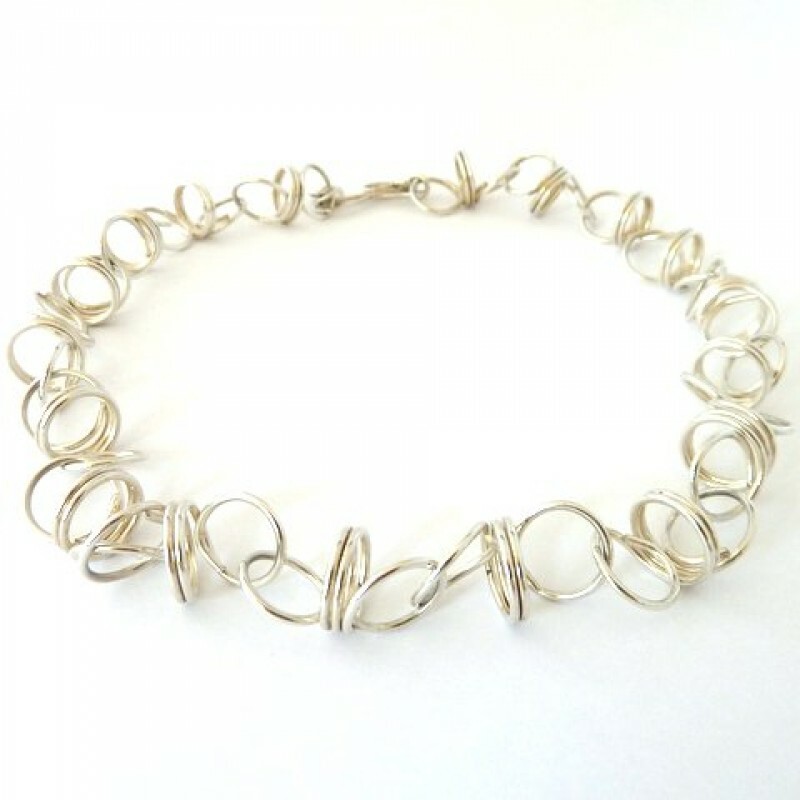 Spirals of heavy sterling silver wire roll smoothly around the neck for a classic three dimensional and elegant look. Up to 19" long. 1/2" wide. 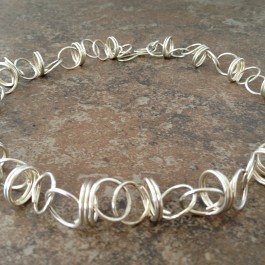 A distinctive hand made clasp. 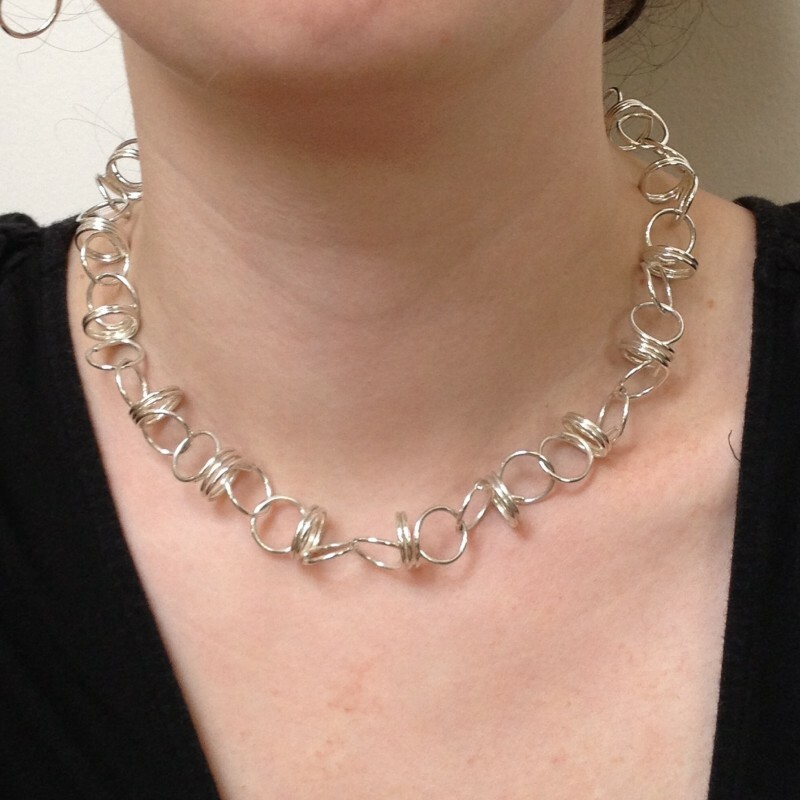 The clasp can hook onto any link for different lengths. 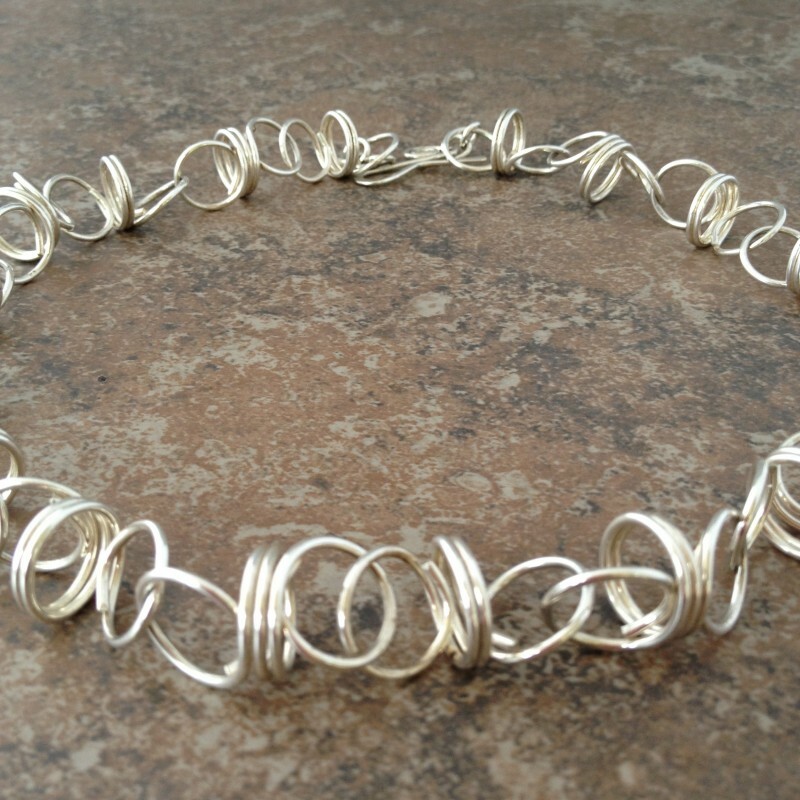 See our matching Sterling Silver Sculptural Earrings.